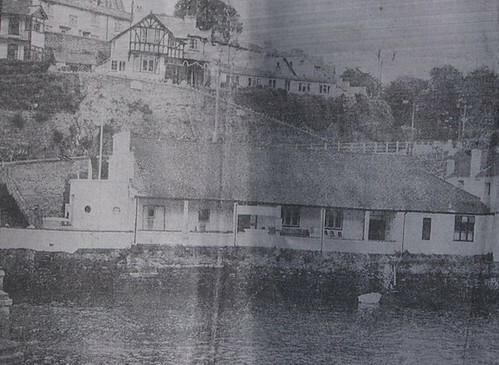 Looe has always been quite an insular little fishing village, it was so in the 60s and to an extent still is today. It has however, always been a popular tourist destination and as with similar towns in Cornwall, like St Ives and Newquay it’s population swells massively during the Summer months. In the 60s Cornwall had an influx of beatniks, freewheelin’ into the county, busking their way from Plymouth to Penzance. The crowd would stop off at certain points on their journey, Looe, Newquay and St Ives being three of them. All (relatively) sleepy little seaside towns that drew those interested in the bohemian lifestyle. The influx of creative types into the town brought much needed excitement for the youngsters in the town, who didn’t want part of the small fishing town mentality, where you sleep>fish>eat>pub>repeat ad infinitum. While never quite as artistic a community as St Ives the town often acted as a stop-off point for those, often rich drop-out’s, on their way through. By 1966 there were plenty of bodies crashed out around town, sleeping bags taking up parks and hillsides. While the town never had a drug problem, there were still plenty of stimulants around to keep the hippies happy. Sadly in the early 1970s Looe and Penarth in South Wales were named in some official document as the two towns outside of the big cities with the biggest drug problem. Looe had its own drugs squad in the form of Sgt. Brian Richards (known as Brian even to the people he was nicking) who was held in some affection by the local hippy ne’er do wells. Brian passed away around December 2009. With an abundance of teens in the town it was only a matter of time before a club opened. 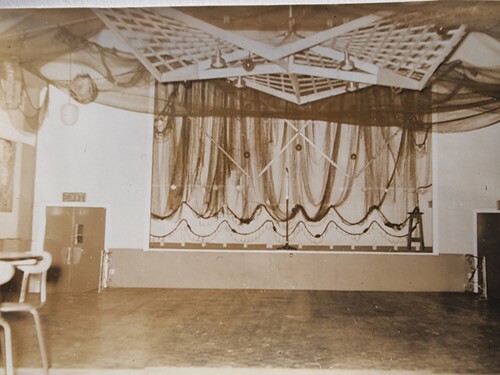 The town did have the Looe Public Hall, with bands such as Just Four Men (pre-Wimple Winch), (Fabulous Flyovers), Blenders (Callington) and Roadrunners (Liskeard). 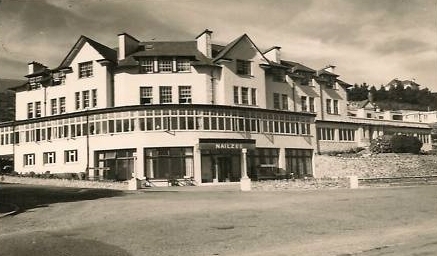 Early gigs also took place at the Nailzee Point Hotel, with gigs from the likes of The Roadrunners and Kenny Salmon & The Jesters. 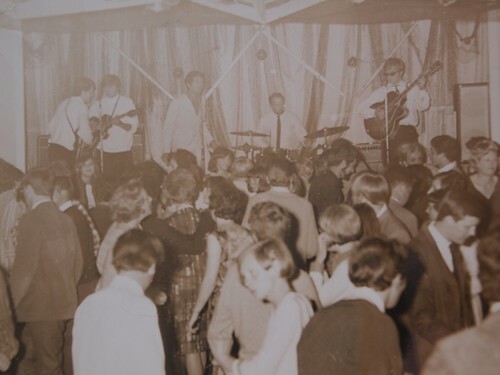 The hotel had its own jukebox and around December 1963 you couldn’t visit the venue without hearing “I Want To Hold Your Hold”, which was being played to death as Beatlemania began to sweep the country. 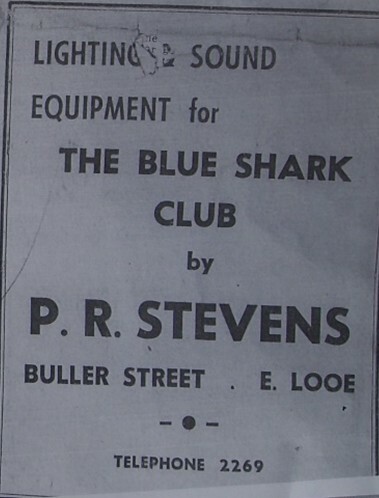 Located on the main bridge in the town what would become the Blue Shark Club started life in 1933 as the Regent Cinema. After the war in the late 40s, the building was modified to also include community use spaces. 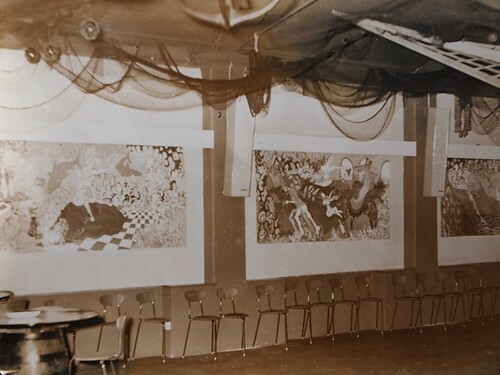 This included the introduction of a staged area, allowing for plays to be put on in the venue. 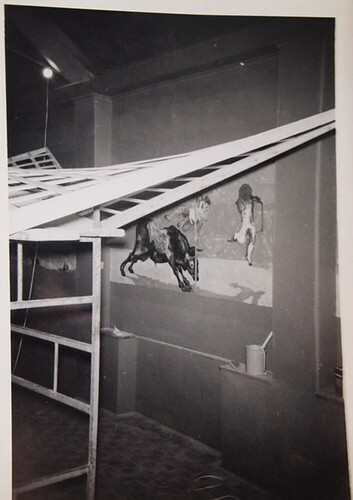 Around 1960 the cinema ceased showing films and with the remaining seating removed the venue became the Casino Club. 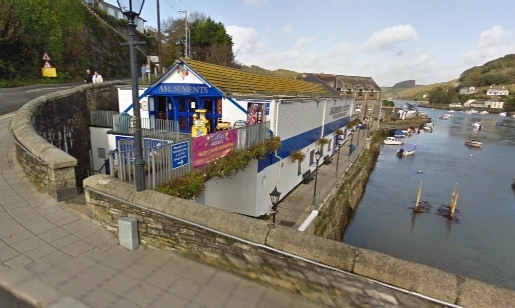 The owners clearly had delusions of Looe as the next Cornish Riviera, offering “Roulette du la champagne” (as the Cornish Times spelt it), along with other gaming delights. 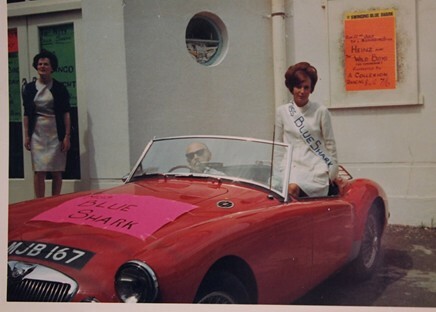 The Blue Shark was originally owned by a femail owner who planned for it to be become a venue for dinner dances and afternoon tea. Unfortunately this venture didn't take off and it soon closed down. One of those who was working there at the time was Jack Pheasant, and he was suddenly out of a job. The club was purchased by Tony Mitchell. Tony also owned the Cromwellian Club in South Kensington, London. The Cromwellian was an exclusive private members club, showbiz hangout and right at the centre of swinging London. Tony himself was rumoured to have underworld connections, which was of course not uncommon at the time! He once had Ginger Baker thrown out of the Cromwellian Club without realising who he was! Needless to say he apologised next time Ginger visited the club. Tony also owned several other clubs in London, including gambling and out of hours clubs. He also owned clubs in South Wales and Windsor. He wanted to bring gambling to the Blue Shark, but there wasn't the support for it, so he had to return the planned gambling tables to London and focus the venue on music instead. 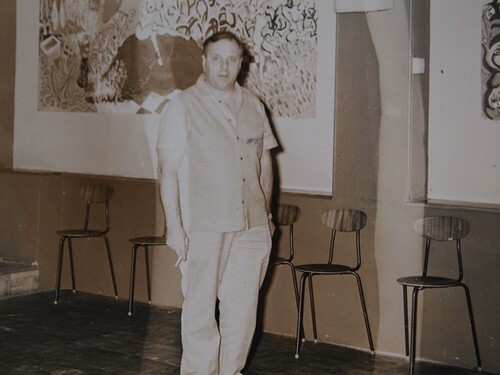 Jack Pheasant was installed as the manager, he hadpreviously worked at the venue, Jack was the father of Nirmal Pheasant who's band Onset regular played at the venue. The building was in a poor stage of repair after its time as a cinema and a lot of work was required to bring it up to a decent state. The building still contained the original projectors, which were powered by gas! The projectionists room would become the main office, with a window looking out over the dancefloor. There was an equipment store under the stage. 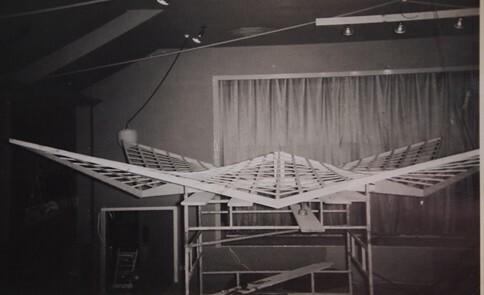 Installation of the floating ceiling. 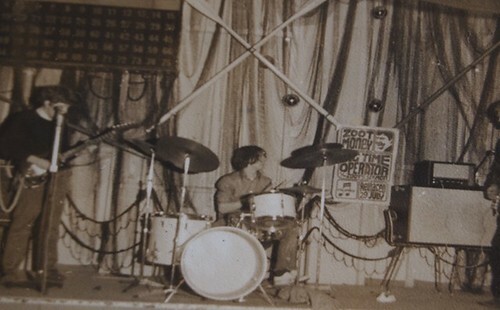 The stage curtains behind were remnants of the venues time as a cinema. At New Year balloons would be dropped down into the audience. Nirmal remembers having the job of blowing up all the balloons with friends! 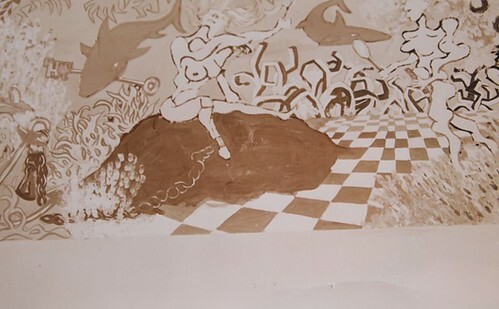 The club had murals covering its walls, which were painted by a local artist. Many people had great difficulty in understanding the artists meaning! From the outset the club was able to bring in big names, due to Tony’s London connections. 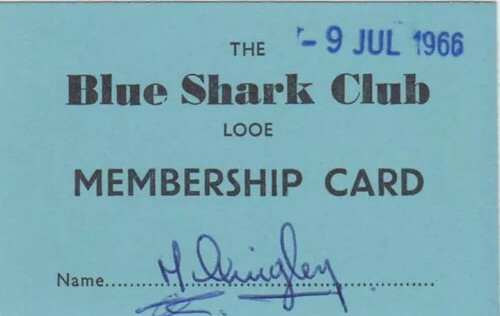 It was often part of a band’s deal that if they were given a residency at the Cromwellian they would also repeat that residency at the Blue Shark Club. This of course brought some big names down to a town many bands would simply never have visited otherwise. 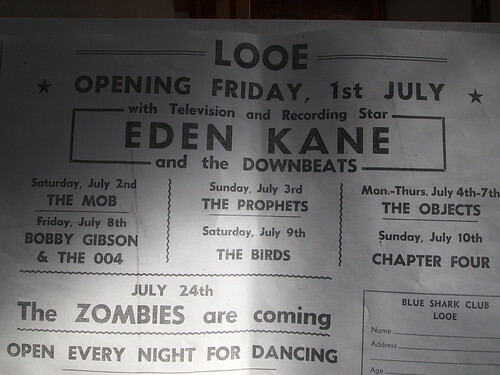 Indeed the clubs opening night featured Eden Kane & The Downbeats, an artist who already had several top ten singles under his belt, including a number one hit. While the club had access to some of the bigger artists of the era it was simply not big enought to put on many of the big names it potentially could have. The cost to punters on the door for the major artists would have been too much. The club worked with the other local agents to ensure that any visiting artists would also have other gigs lined up when visiting the county. 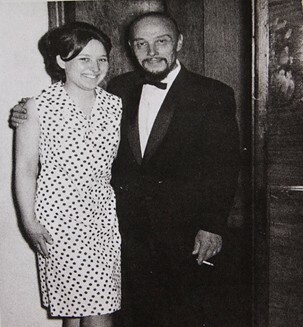 The London connection would brought in big names such as The Zombies, The Birds (featuring Ronnie Wood), Heinz & The Wild Boys and the Mike Cotton Sound. All big club names in the swinging capitol. Heinz and the Wildboys nearly didn't make the gig, he suffered from stage fright on the evening and wouldn't perform. The band Gas had to fill in, before Heinz finally made it on to the stage after much persuasion at 11pm, which was practically closing time for the venue! 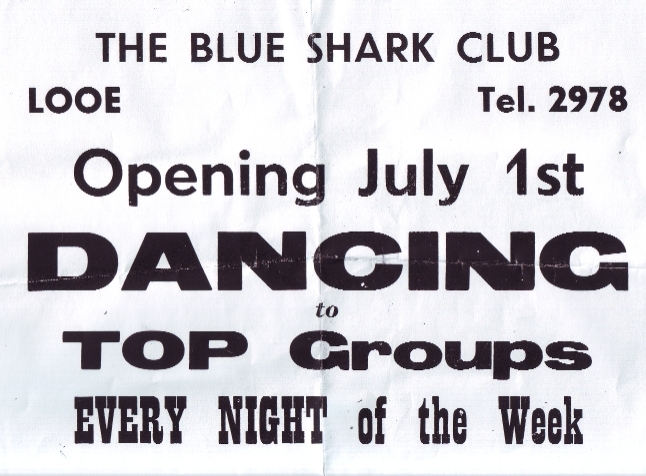 Gigs would take place on a Saturday night, billed as “Dancing to top groups every night”. The venue later tried unsuccessfully putting on mid-week bands, shortly afterwards reverting back to Saturday night gigs. As well as the big star names the venue was a thriving venue for the many local bands that were popping up all over the place. Looe was well placed to bring in bands from all over the South West, and also had excellent connections with the local promoters. 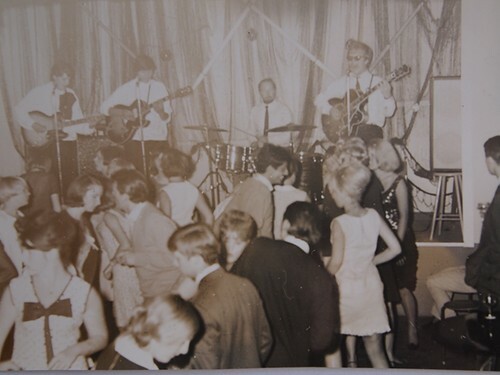 BCD Entertainments of Bodmin would supply the Cornish bands, bands from Exeter would come through Starline Entertainments, LMD would supply bands from Torquay and a Fred Rees would bring down many of the Plymouth bands. 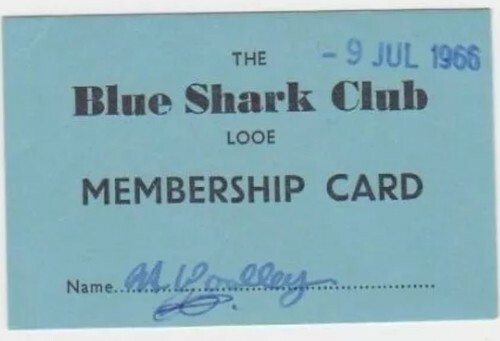 I really can't remember the band I was in when we played the Blue Shark but I do remember there was A STRIPPER for "cabaret". Very poor attendance but the bit I always remember was that there were 4 or 5 very young lads down the front all huddled together watching the stripper and she stripped right down to just a big pom-pom which she held in front of her thighs. Her last act was to whip it away for a couple of seconds and she leant over to the lads at the front and said "Did you see it, boys?" One of the pressues on the venue was from the competition from the local holiday parks, which were also putting on evening entertainment. Visitors to the area didn't need to venture into the town in the evening. Bingo nights and the strippers were introduced to increase audience numbers. In the early days the plan was to run 6 nights a week, but this wasn't sustainable and dropped to 3 nights, then 2 and finally just the 1 night a week. The venue also had to contend with pressures from the local council challenging their alcohol license, as well as their planned 8pm-5am opening hours during New Year Eve. The council clearly had a vendetta against the club, with one councillor calling it a 'den of sin and inequity'! One final stab at keeping the venue running was to plan on building an amusement arcade above the venue. Although the architects plans were agreed and the plan passed Tony died suddenly of a heart attack and this plan didn't come into fruition until some time later. Tony had wanted to put the club into Jack Pheasants name, but his sudden death put a stop to that. 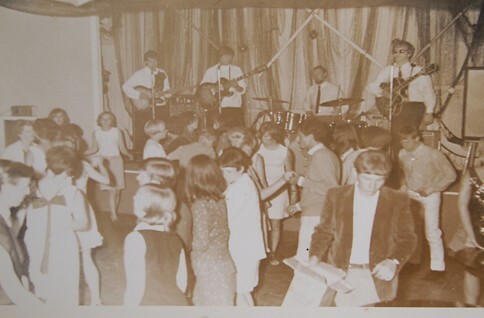 Jack's son Nirmal went away in 1969 to join a Honiton based band and on return it was clear that the venue had run it's course. Numbers were down considerably, and it was only a matter of time before it would close completely. 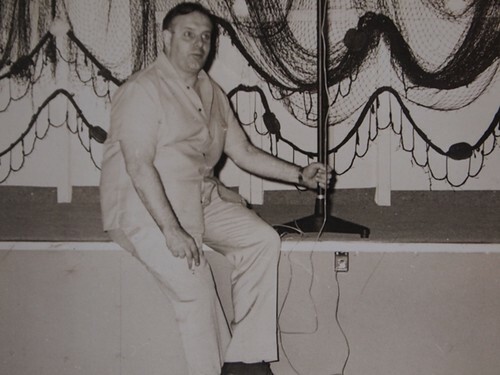 The club closed in the early 70s, with Jack Pheasant going on to become the entertainments manager at the Barn Club in Penzance, before retiring. The building still remains and is now part indoor market and amusement arcade. An additional floor has been added as well as a walkway bridge to allow access to the upper areas. The old rooms have now been knocked through to create one large space, but there is still a step around ¾ of the way towards the back of the arcade, which is all that remains of the stage. Thanks to the incredible memory of regular patron Andy Brice below is a list of some of the bands who played the venue. Andy played with The Onset and often played the venue himself with his band. I am grateful to have been able to watch the many bands that influenced me and it also gave Onset the chance to play and do gigs I was spoilt here, I could practise for up to 3 hours a day minimum which I did! Name bands such as the Zombies, and the Nashville Teens would come down to Looe and visit us when on holiday and always have a jam at the club. Jimmy Garforth drummer with Mike Cotton’s band moved to Polperro and would pop into the club on occasions. Other notable bands were the British Birds, the Bystanders (later to become Man), and Chapter 5 who had Berry Marsden on vocals and future members of Deep purple. There were also the local bands and musicians that went on to achieve much, such as Earth who became Stonehouse and then Asgard from Plymouth who released two albums and one single and the Empty Vessels who later became Wishbone Ash. 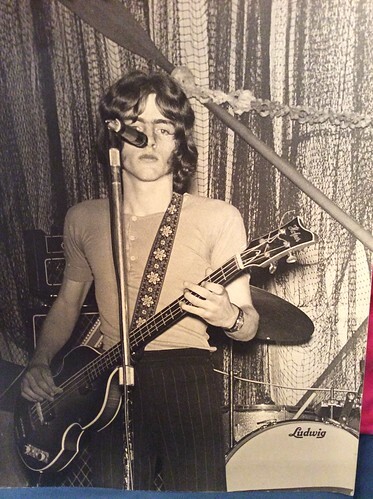 Liam Geneocky who was with Inner circle from Plymouth later joined Julie Felix, and Zebra and then Ian Gillans band Gillan. 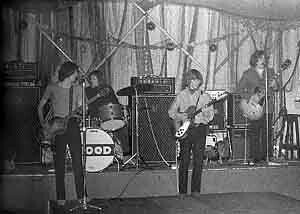 Martin Pugh who was with the Torquay band Package Deal joined Steam hammer and was on Rod Stewart’s first album. Mike Jaques from Torquay who joined Curved Air was with Indiana Highway and Adolphus Rebirth to name just a few.